Entrepreneurial activity is generally assumed to be an important aspect of the organization of industries most conducive to innovative activity and unrestrained competition. This paper investigates whether total entrepreneurial activity (TEA) influences GDP growth for a sample of 36 countries. We test whether this influence depends on the level of economic development measured as GDP per capita. Adjustment is made for a range of alternative explanations for achieving economic growth by incorporating the Growth Competitiveness Index (GCI). 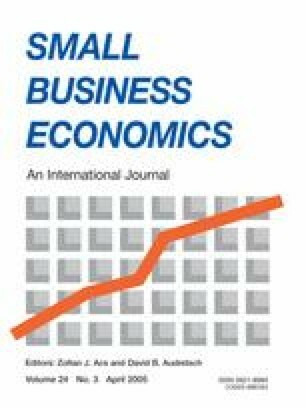 We find that entrepreneurial activity by nascent entrepreneurs and owner/managers of young businesses affects economic growth, but that this effect depends upon the level of per capita income. This suggests that entrepreneurship plays a different role in countries in different stages of economic development.